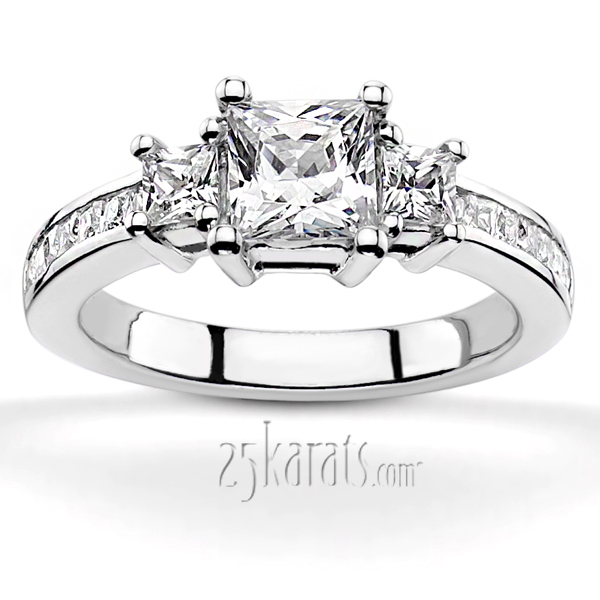 This beautiful diamond accented three stone engagement ring features 10/0.10 ct. and 2/0.40 ct. princess stones totaling 1.80 ct. 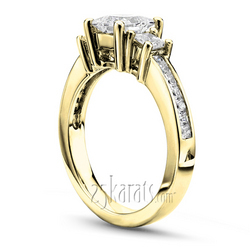 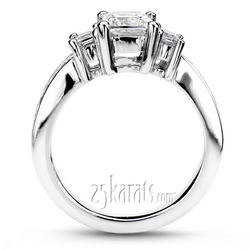 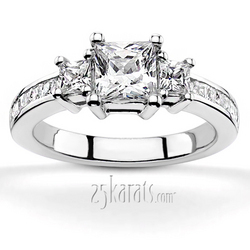 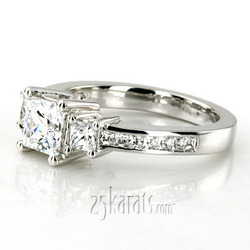 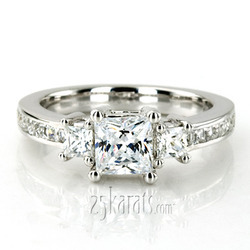 This three stone diamond bridal ring can be set with a 1.00 ct. princess cut center stone. 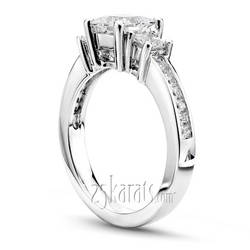 The fascinating engagement ring is available in white gold, yellow gold, platinum or palladium.